All roads are accessible with 3 rider modes. Everything is at your fingertips; just choose the ride that suits your mood, your ability and the conditions. There are three set combinations: TOUR employs the maximum Power setting and provides mid-range Engine Braking combined with a high HSTC level. URBAN uses mid-level Power setting with the same settings as TOUR for HSTC and EB. 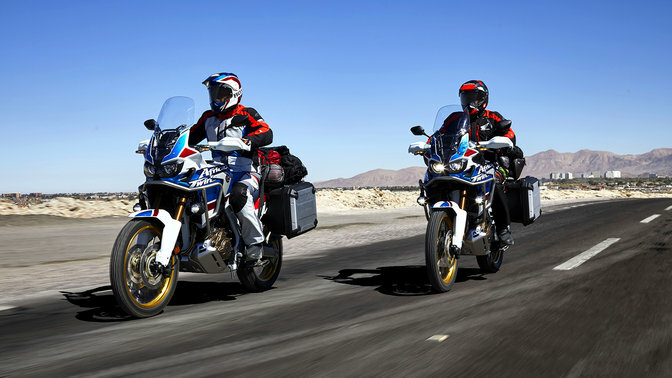 A fourth mode – USER – allows the rider to set and save a preferred combination of Power, Engine Braking and HSTC levels. On DCT models, for best off-road performance hit the G button; used in any riding mode, it modifies the clutch control giving a more direct drive through the Dual Clutch Transmission. A standard manual mode allows gear changing using a trigger on the left handlebar. D mode offers the best balance of fuel economy and cruising comfort, while S mode gives three different, sportier shift patterns. As the name implies, there are two clutches, independently controlled by their own electro-hydraulic circuit. One is for starting, 1st, 3rd and 5th gears and the other for 2nd, 4th and 6th, so when a gear is selected they switch through one to the other. It’s slick, quick and eliminates shift-shock – keeping the bike stable – as you go up, or down, through the gears. The CRF1000L also has a model available with a robust 6-speed gearbox for those who prefer a hands-on ride at all times. It uses the same shift-cam design as the CRF450R for instant gear changes and works through a light, aluminium assist slipper clutch. A quickshifter is available as an option on both transmissions. 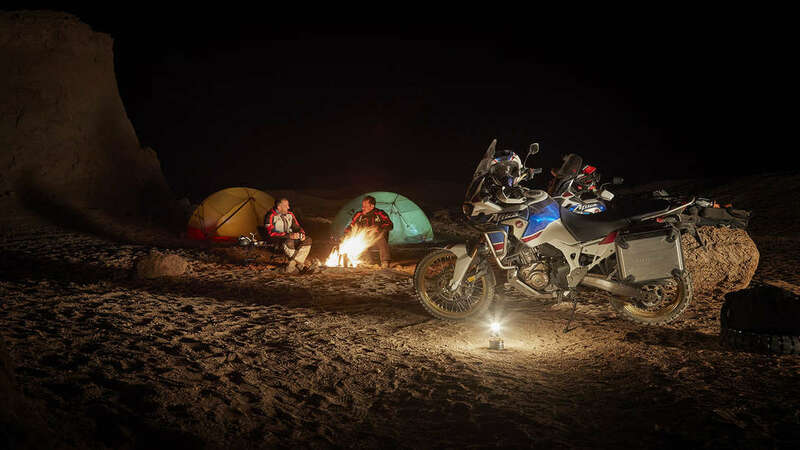 Take a closer look at the unique features that make an Africa Twin Adventure Sport the stuff of legend. Power and performance is delivered by Throttle By Wire via the 3 rider modes to adjust the engine’s character and the bike's traction. The engine management electronics package includes the Honda Selectable Torque Control (HSTC), which has 7 levels, and Engine Braking (EB).